This program will allow you to become a "Certified Holistic Marketer"
Focus - Getting clear on what you are going to sell, based on your unique skills. Coal with enough pressure turns to diamonds. 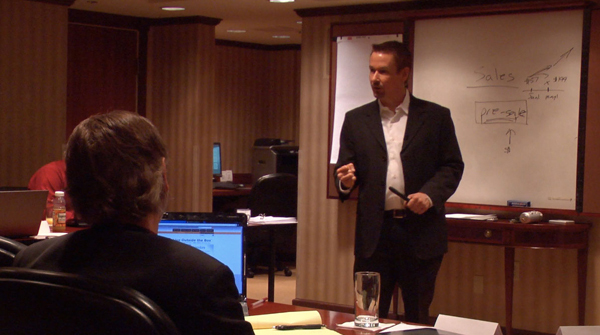 Let Steve help you turn your business into a gem! What You Will Learn: how to take the skills and knowledge you already have or are learning and make more money in your practice and online. "I have a friend who is going to build a website for me, but they haven't gotten around to it yet." "I would like to sell products online, and I even have a few ideas for products, but I haven't recorded any yet and I'm not sure how to sell them once I do." "I'm writing a book on my topic, it should be out next year." Becoming confident in who you are as a holistic practitioner. Getting focused on creating five products based on your knowledge. Selling those five products online. "This program is not about becoming a marketing mastermind alone! This is about sharing your gifts and giving back! It is about helping others and generating wealth doing what you love. The more you help others the more wealth you will generate. Become a pioneer in your field!" Instructor: Steve G. Jones has over 20 years experience as a certified clinical hypnotist, both teaching hypnosis students and working with clients. His list of former clients includes: Danny Bonaduce, Jeraldine Saunders (creator of the Love Boat TV series), Tom Mankiewicz (writer of Superman the movie), and many other celebrities. Steve has served on the board of directors of the American Lung Association in Los Angeles, California. He is a member of the National Guild of Hypnotists, National Board of Certified Clinical Hypnotists, founder of the American Alliance of Hypnotists, member of the International Registry of Clinical Hypnotists, associate member of the APA (American psychological association, member number 29263998), has presented his hypnosis research at the American Council of Hypnotists Examiners, received the President's appreciation award for his outstanding contributions to the American Association for Adult and Continuing Education, is a member of the American Board of Hypnosis, member of Who's Who among Students in American Universities and Colleges, member of Pi Lambda Theta International Honor Society and Professional Association in Education, member of Omicron Delta Kappa Honor Society, member of the Golden Key Honor Society, recipient of the National Leadership Award from the United States National Congressional Committee, received a bachelor's degree in psychology from the University of Florida, received a master's degree in education from Armstrong Atlantic and State University, received the educational specialist degree from Georgia Southern University, and is currently a doctoral candidate in education at Georgia Southern University. --Know what details should be included on your business card, website, brochures, etc. --Importance of creating and selling CD's, mp3's, ebooks, physical books, videos, etc. "Since I decided to take your course and pursue this path, things have truly opened up for me. I found an office that is in a great location that works perfectly with my business plan for a hypnotherapy clinic. I will be in practice within one month :) Thanks for the inspiration." "I can see why Steve G. Jones is the leader in his field. He has a tremendous wealth of knowledge which he shares in a very straightforward manner. Oh, and did I mention, it's nice making over $100/hour while helping people, too!" "I attended one of Steve's classes in the 80's and thought he was great then...now he's purely brilliant!!" 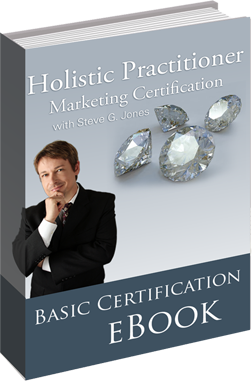 Q: Will I need any other training in order to practice Holistic Marketing besides your course? SENT TO YOUR HOME FOR ONLY $47 +S/H!